Of the different house plan books that we've published here on Antique Home, the 1909 Radford Cement Homes book is a little bit different. As might be expected the houses include the typical bungalows and four squares rendered in concrete block or cement plaster instead of wood. This book goes beyond that though. As you page through the various plans, what may catch your attention is the remarkable array of unusual homes with bungalow and Prairie styling. There are many oddball characteristics that we expect you'll find interesting. Craftsman characteristics include inglenooks and beamed ceilings. And every plan shows a bathroom, though in 1909 indoor plumbing was not always assured. Almost all the kitchens show pantries. The bedrooms are typically very small, but closets are integrated into each room. What is most distinctive though is the range of house style. Radford's was clearly participating in the dynamic architectural milieu that existed in Chicago at the time and what emerges is sometimes eccentric, oddball, or unusual, but always interesting. This book has been broken into one- and two-story homes. The single-story homes are shown in the navigation to the left. 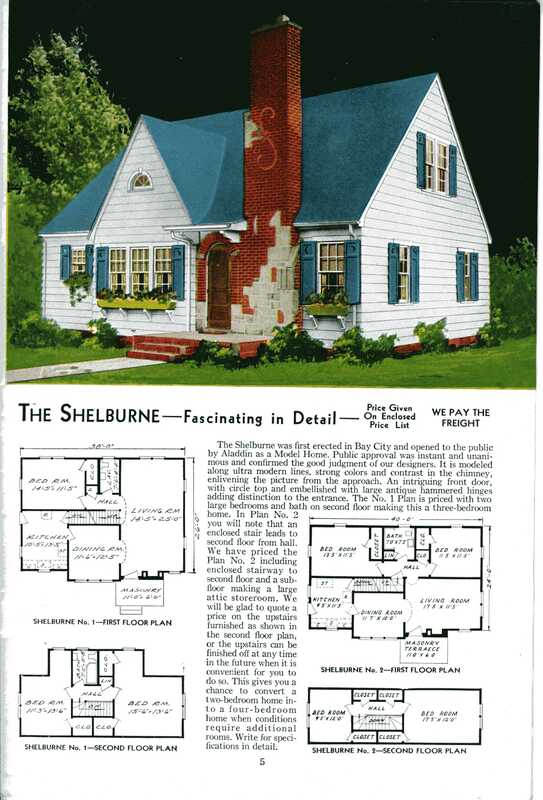 See the two-story plans in their directory.